Step 1. Use the patterned rollers with Zart School Colours Paint to create designs on assorted papers – tissue, newsprint or cover paper. Step 2. Allow paint to dry completely. Step 3. 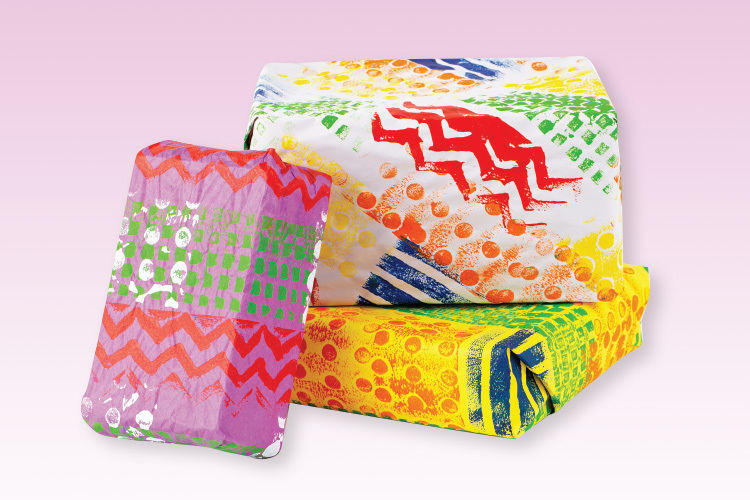 Wrap Christmas presents using your very own decorated paper!